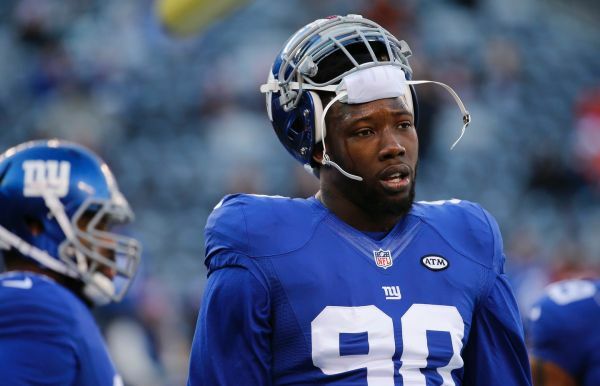 Days after the July 4 fireworks accident that blew off portions of his right hand, Giants defensive end Jason Pierre-Paul walked around the burn unit of his hospital in South Florida and gained perspective. He saw lost hands and lost legs, and worse. Some injuries were the result of fireworks, but everyone, he said, was fighting a battle. In many ways, Pierre-Paul is lucky. His football career is alive and well and teams no doubt will be interested in the pass rusher, who entered free agency this offseason after returning for the last eight games of the 2015 season with the Giants, recording 26 combined tackles and a sack. That’s one reason he chose to donate, along with CareOne Management, $20,000 to the burn center. After presenting the check, the defensive end took a private tour of the facility and again interacted with fellow burn victims.